Before you can use virtualization, the virtualization packages must be installed on your computer. 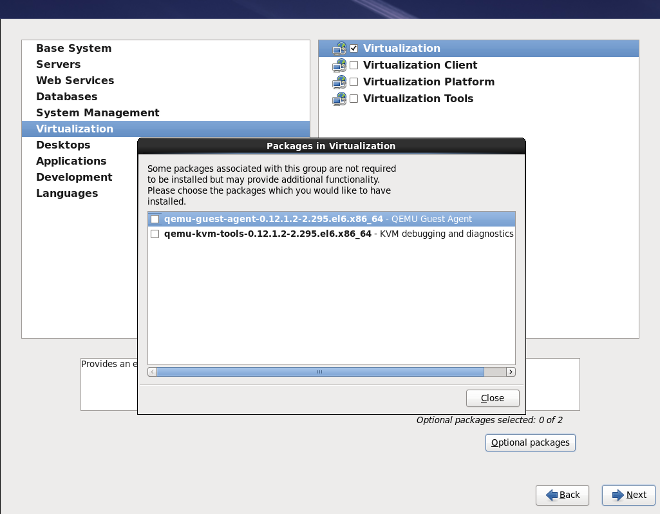 Virtualization packages can be installed either during the host installation sequence or after host installation using Subscription Manager. The KVM hypervisor uses the default Red Hat Enterprise Linux kernel with the kvm kernel module. 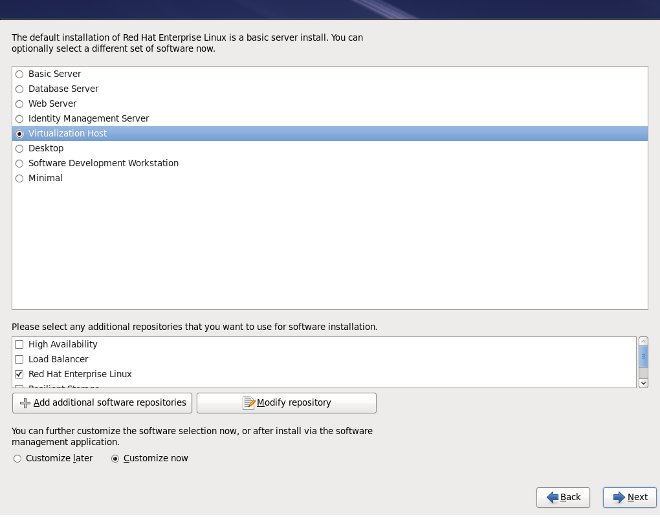 This section covers installing virtualization tools and virtualization packages as part of a fresh Red Hat Enterprise Linux installation. The Red Hat Enterprise Linux Installation Guide covers installing Red Hat Enterprise Linux in detail. Start an interactive Red Hat Enterprise Linux 6 installation from the Red Hat Enterprise Linux Installation CD-ROM, DVD or PXE. Complete the other steps up to the package selection step. 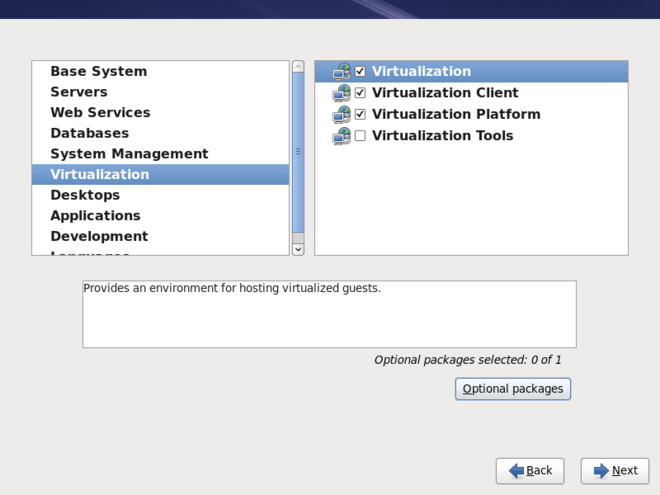 Select the Virtualization Host server role to install a platform for guest virtual machines. Alternatively, ensure that the Customize Now radio button is selected before proceeding, to specify individual packages. This selects the qemu-kvm emulator, virt-manager, libvirt and virt-viewer for installation. If you wish to create virtual machines in a graphical user interface (virt-manager) later, you should also select the General Purpose Desktop package group. Click on the Close button, then the Next button to continue the installation. When the installation is complete, reboot the system. Kickstart files allow for large, automated installations without a user manually installing each individual host system. This section describes how to create and use a Kickstart file to install Red Hat Enterprise Linux with the Virtualization packages. For more information about Kickstart files, refer to the Red Hat Enterprise Linux Installation Guide.